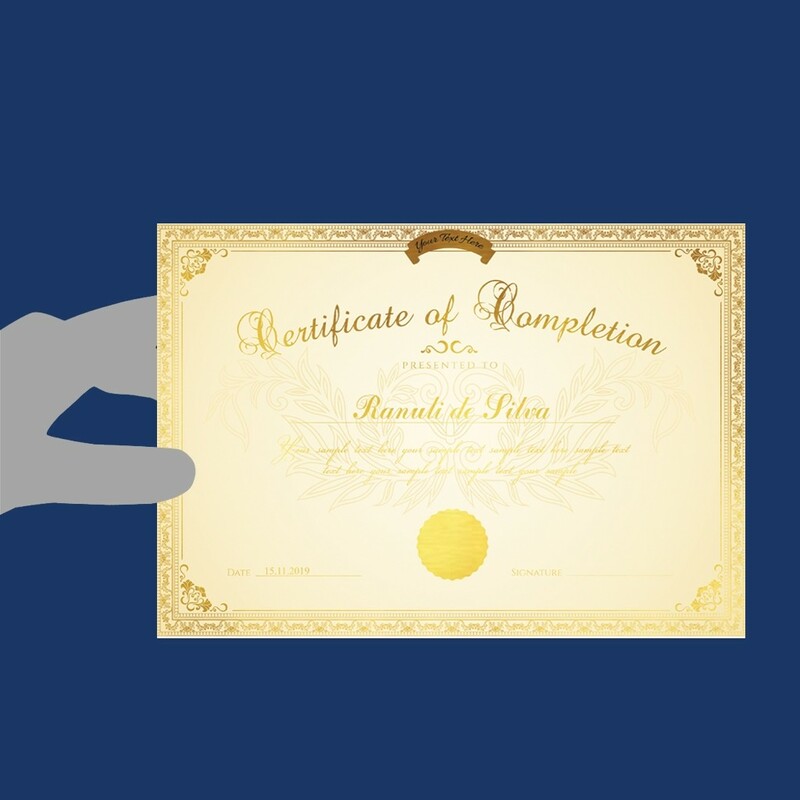 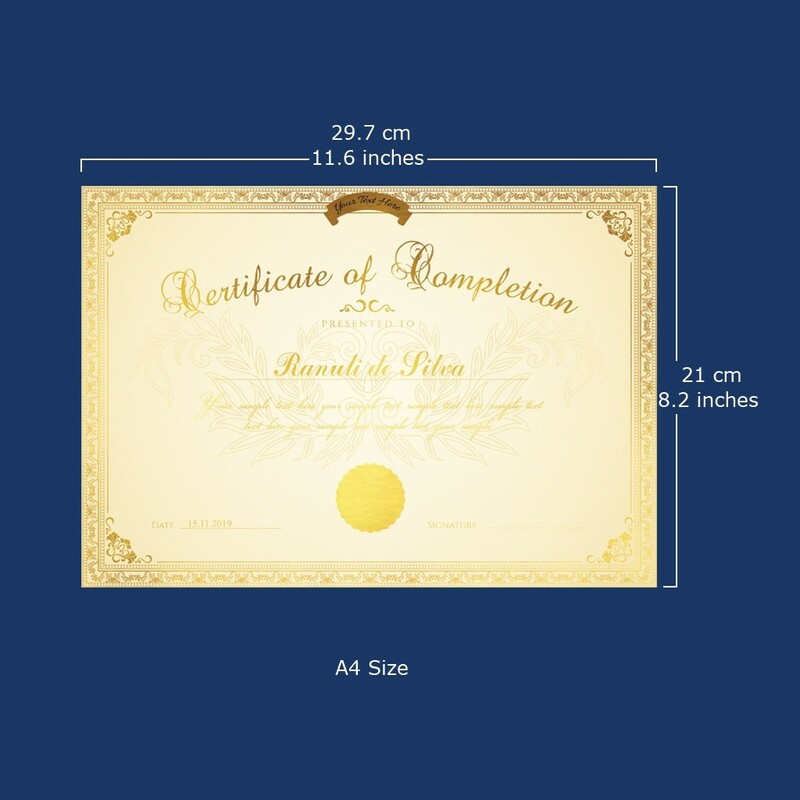 Anim8 metallic foil printed certificates are for those who require professionally presented certificates. 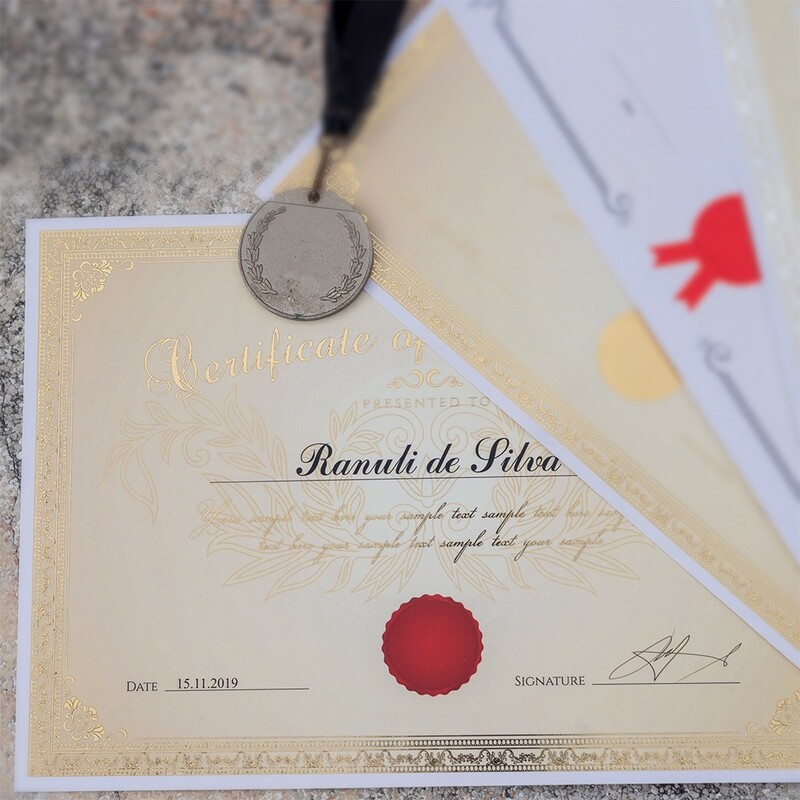 With the use of metallic foil embellishment on seals, emblems or text it gives the certificates that you wish to award the elite appearance it requires to consist of. 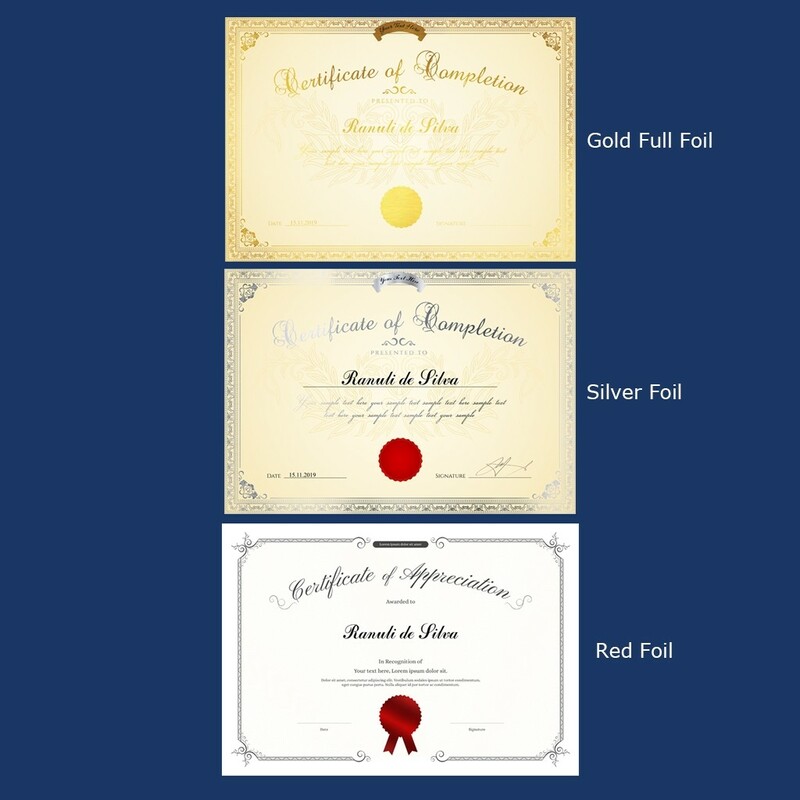 The foil colour range that is available at Anim8 such as gold, silver, red and more are sure to highlight the required features of your certificate to perfection.